Posted By: Ben F. Silverio 0 Comment Flash Morgan Webster, Jack Gallagher, Pete Dunne, Progress Wrestling, WWE, WWE Global Cruiserweight Series, Zack Sabre Jr. Earlier this year, WWE announced that an unprecedented tournament would be heading to the WWE Network this summer. Dubbed the WWE Global Cruiserweight Series, this ten-week event will see thirty-two of the top wrestlers from around the world under 205 lbs. compete at Full Sail University to compete for the right to call themselves the best cruiserweight in the world. Rich Swann, Johnny Gargano, Tommaso Ciampa, Noam Dar, Akira Tozawa, Ho Ho Lun, and Lince Dorado have already been announced as participants, but now we know two more names that can be added to the already impressive playing field. 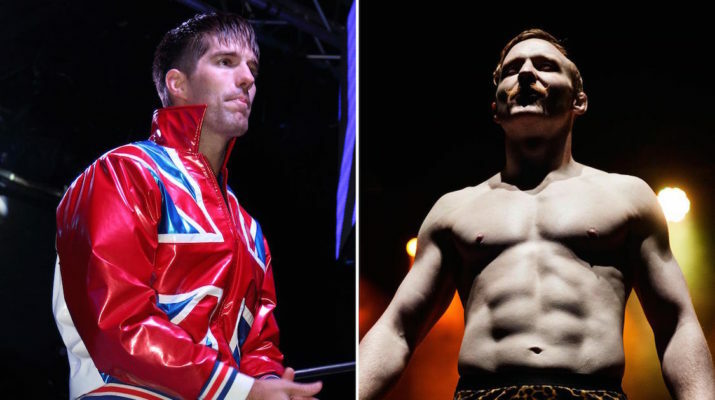 According to WWE.com, Zack Sabre Jr. and Jack Gallagher earned their places in the GCS brackets at the sold-out Electric Ballroom in Camden Town, London, England over the weekend. Known far and wide as two of the United Kingdom’s brightest stars, Sabre and Gallagher competed in GCS qualifying matches at PROGRESS Chapter 29: Practically PROGRESS in Every Way. While Gallagher, a technician with experience in mixed martial arts, bested hard-hitting “Bruiserweight” Pete Dunne, Sabre came out on top over Flash Morgan Webster in a grueling competition that landed the Modfather in the hospital with torn ligaments in his ankle and a dislocated shoulder. With PROGRESS Wrestling’s qualifiers in the books, UK fans can now look forward to the others that will take place in Revolution Pro Wrestling in the near future. Though no details about those participants have been revealed yet, American fans in Queens, New York will have the chance to see qualifying matches at EVOLVE’s May 7th event at La Boom. Reigning EVOLVE Tag Team Champions Drew Gulak and Tracy Williams will face off against each other for a spot in the GCS, while 15-year veteran TJ Perkins will take on up-and-comer Fred Yehi. What do you think about the current field of competitors lined up for the WWE Global Cruiserweight Series? Are there any stars that you hope will have the chance to compete? And do you think that PROGRESS Wrestling’s Zack Sabre Jr. or Jack Gallagher have a chance at winning the whole thing? Sound off in the comments. The WWE Global Cruiserweight Series kicks off on July 13, 2016 at 9:00pm EST on the WWE Network.